Product prices and availability are accurate as of 2019-04-23 14:48:09 EDT and are subject to change. Any price and availability information displayed on http://www.amazon.com/ at the time of purchase will apply to the purchase of this product. 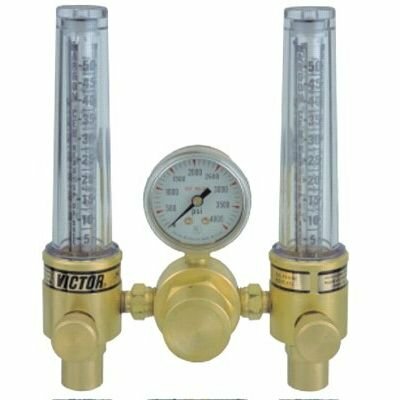 Victor offers a range of products for the delivery of shielding gas in the arc welding process or any application where gas flow rates, versus delivery pressure, are the primary consideration. 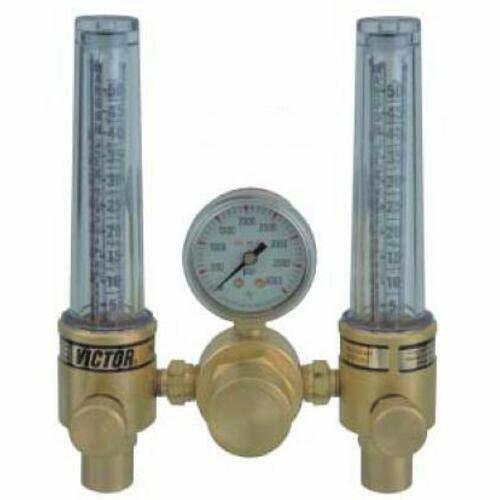 DFM 150 Series, medium duty, flow meter cylinder Regulator. 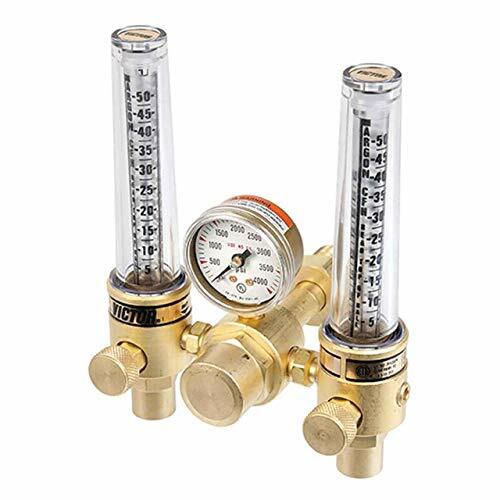 Designed to monitor two separate processes or gas flows. 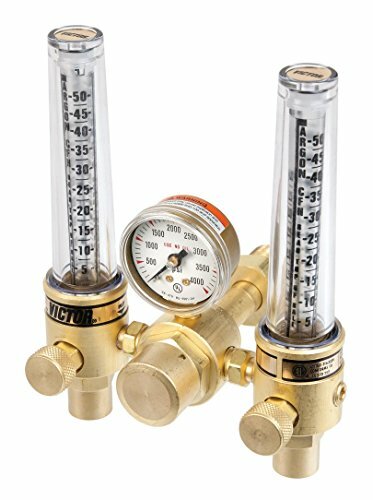 Ideal for applications where shielding gas and back purge requirements are needed. Designed to offer convenience for the maintenance and fabrication industries. Brass body. Teflon seat mechanism. Sintered inlet filter – bronze. Music wire – spring. Piston – brass. Cover tube – Lexan.